The folks over at GTAV.net have pointed out a very interesting discovery with regards to the main character in GTA 5. 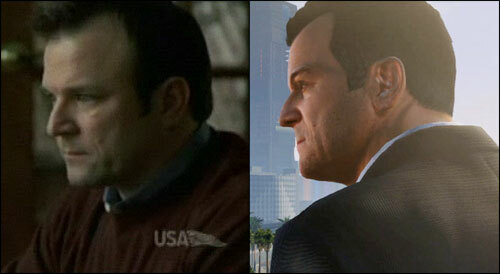 On the first GTA 5 Trailer we heard a man talking and we're still speculating on who this could be, however a member called Dourvas on GTAForums spotted some pretty convincing similarities between the old guy in the trailer and an actor named Ned Luke. As you can see from the above image, both Ned and the trailer character look very similar. 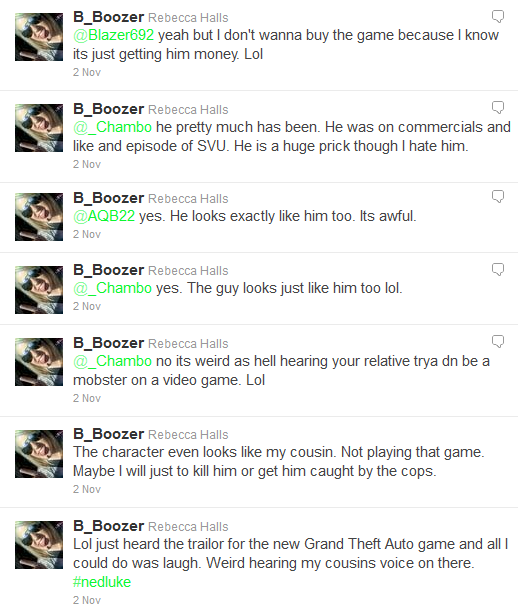 As we've seen in previous GTA games, the in-game characters are very often based on how the actual voice artist looks. Bear that in mind, plus the fact that he sounds fairly similar too, and we may be looking at the main protagonist in GTA 5 - voiced by Ned Luke. However it would appear either everyone missed it, or no one took it too seriously until now! And the final piece of confirmation may be Ned Luke's very own Twitter account. Although the account isn't verified, and it doesn't appear to be used much, he's still following Rockstar Games and posted a "GrandTheftAutoMemories" tweet on November 5th. Update - Ned Luke has since deleted his Twitter account. Bit late for that kiddo! What do you think? As good as confirmed? Sorry I meant GTA V, But yes, I think Albert would be a great character if Rockstar defines his personality like always, or maybe he isnt, Maybe the rumors of the Latin/black dude are true Idk lets wait an see. You should wait till Rockstar officially confirms. I dont think the character customization is as Important in GTA IV if you want to customize your character please play Saints row and kill yourself. GTA Its always about a character with a defined personality,Niko doesnt shows interest in working out, while Maybe if you play as Brucie, the workout could be an Option, this way Gta creates amazing stories because they have a great defined character, ofcorse I mean clothes and all that even facial hair styles are alright, but always taking care of the lifestyles of the main character. Dan Houser has said he likes the smaller DLCs. Look at RDR and Max Payne 3 for examples. Not saying 100% GTA V will do the same but that's where Rockstar is going with other games. It is possible that those who frequently shows up in the trailer are all protagonists in different episodes. Think about it, they will probably make more episodes here as well. i hope the protagonist isn't the old guy. The main character maybe Alberto, Albert, Adrian or something else will be Hispanic and working for the Ned Luke character because he gets mugged of his money or something bad, then he finds out the moneys linked to his family "De Silva maybe?" so he stakes up big time in guns and takes drastic action like CJ when his Brother sweet gets done. Hes the guy in the Red Aston/Martin convertible on the trailer, you look like the guy from Midnight Club: Los Angeles. 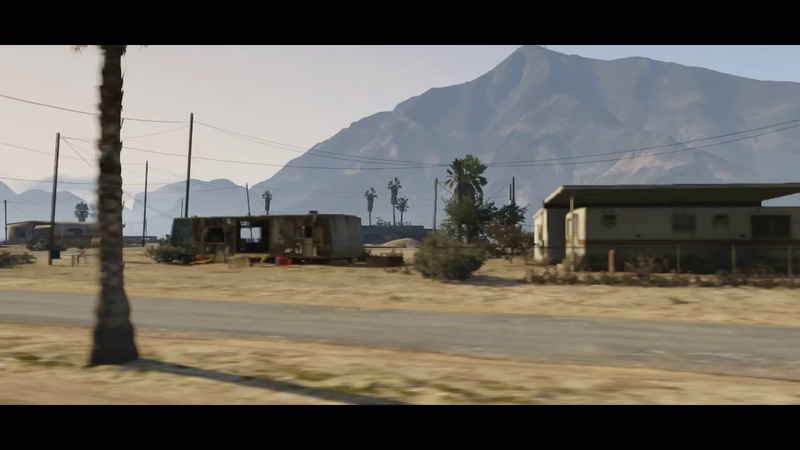 Ned Luke - Possible GTA 5 Main Character Voice Artist - Ned Luke looks and sounds like the man in the GTA 5 trailer. Could he be the voice artist of the main character?